How does the summer affect your plumbing? Summertime is great for being outdoors, family cookouts, and hanging out friends. These warm sunny days have a huge impact on your plumbing you may never have known about. 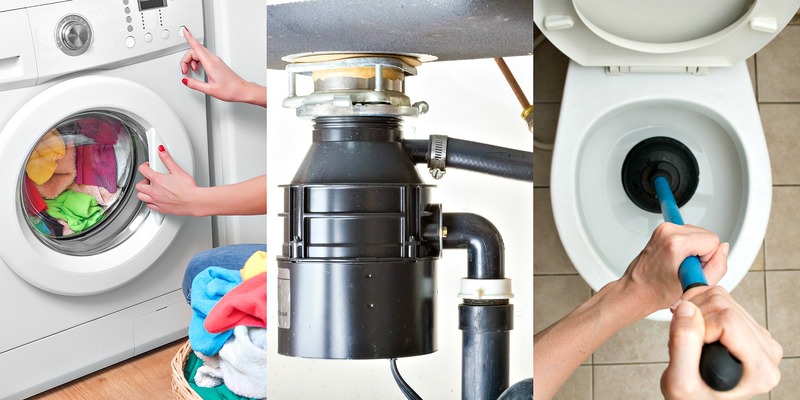 Here are few plumbing disasters to avoid this summer. Kid’s are home for the summer and their adventures outside and by the pool create a lot of laundry. These extra laundry loads put additional stress on your laundry drain line and can cause it to clog and overflow. If a problem arises stop the cycle and immediately call a plumber. Summer is a great time for cookouts and barbeques with friends and family. After these gatherings there is normally a lot of food waste to get rid of. Disposing hard fruits and vegetables such as corn or watermelon can have a negative effect on your garbage disposal. Cooking oils can also damage your garbage disposal so avoid pouring dirty grease from grilling, down the drain. Household toilets are used more often in the summer with children being home throughout the day. It is important to show your kids the appropriate amount of toilet paper to use. Most clogs can be handled with a plunger, but if the problems persist or the toilet overflows, call a professional.